An all-round bargain! These durable metal keyrings include a circular pendant fob with a quality chrome plated finish. The flat surface of the fob is perfect for engraving, for instance with a company name, brand logo, or marketing message. 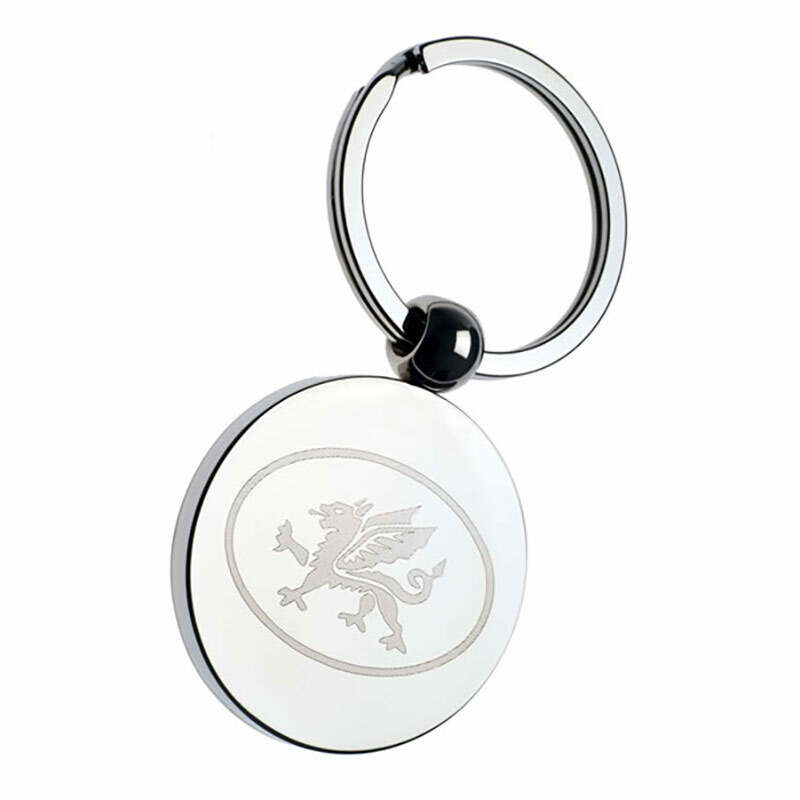 These chrome plated keyrings are offered here with free engraving of text and logos, allowing you to create custom engraved corporate gifts or business promotional gifts for your company or brand. Buy online from Business Gifts Supplier and get outstanding prices, free engraving and low fixed cost UK delivery. Minimum order for these Budget Price keyrings is 15 items. For orders over 250, use the Request Quote link to get a custom price.